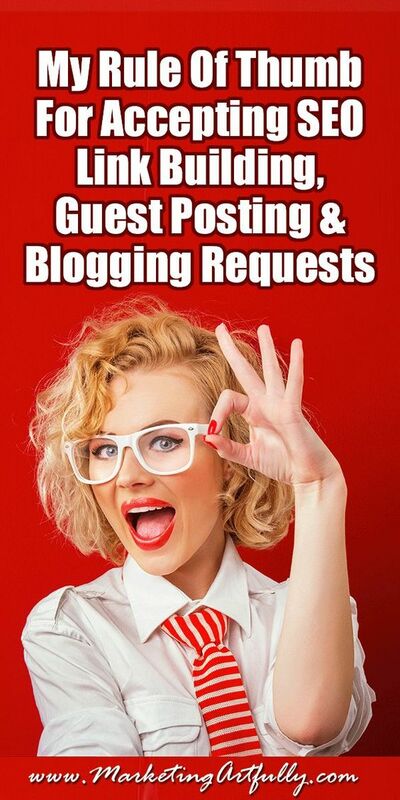 So I have a very dear client who has been getting A LOT of requests to have guest posts, to “swap links” and the like. It is because his real estate investing website is getting a great following! But how do you know which ones you should do and which ones you should stay FAR away from? Because I am interested in SEO, I have a kind of “in my mind” idea of what sorts of things I would be willing to do and not do. Here is my best attempt to document that based on real information from trusted sources. Disclaimer…you may feel differently and if so, please feel free to write your own post on your own blog. I find that there is a LOT of “not up to date” information out there that is steering people down the wrong path and this is just an attempt to help you avoid that! Over the years “SEO Experts” and Black Hat bloggers have used many different strategies to try and game Google rankings. Most of the things that we cannot do now are backlash for how these two groups have tried to manipulate the system in the past. I have always stayed well on the white side of the line, as has my client (I am the boss of his SEO) and plan on continuing this practice going forward. Currently there are people who are trying to “clean up” their websites by walking back the cat on all the bad back links and spammy posts that they had put up years ago and which Google is penalizing them for now. If these sneaky tactics don’t work, why are they still hanging around? Why would someone say to do something that would hurt you? 1. Their SEO business model is built on an outdated model and they don’t want to change so they don’t care if it hurts you, as long as you pay. 2. 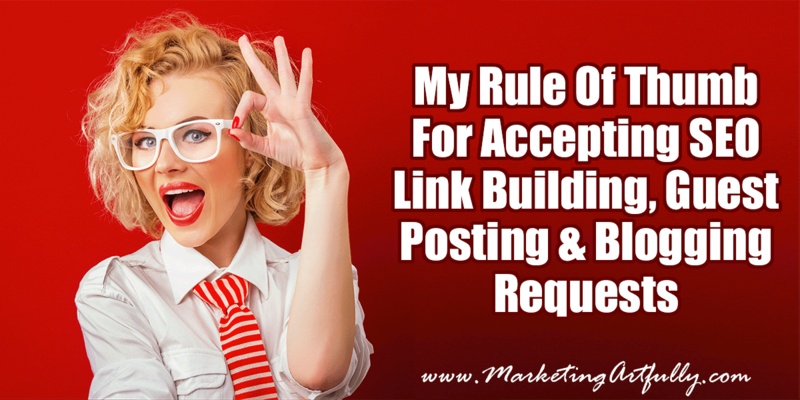 People often are not willing to pay for “hard to do” link building like true guest posting, contacting bloggers and relationship building. I can’t tell you how many supposed experts I have met who got stuck back in 1999 or 2000 with their SEO (and site building) techniques. Hell, I said in 2007 that I would NEVER have a blog and then went on to build a business blogging. You HAVE to keep up with what is happening right now, not how it used to happen. For link building. Will it benefit you or them? Having a link pointed to them from your great site is fine for them, but if they are doing this kind of random fishing, you having a link from a questionable site is probably not a good idea. NO! Guest posting #1. Can they post a guest post on your site, anonymous, horrible English request. NO! Reciprocal links (from you to them and them to you). If someone is actively asking you for reciprocal links at this stage, they are probably asking A LOT of people for these kinds of links. Their bad linking practice could hurt you even if you only have one little one on your site. NO. 1. Did they use my name or just webmaster? 2. Did they mention an article on my site or does it appear that they actually took the time to read something on my site? 3. Will what they want benefit me or my readers? 4. Am I interested enough in them to check them out a bit (you are checking out your link requesters, aren’t you)? 5. Do I have any time to do all this for someone else’s website? Did they make it easy for me? I do not accept guest posts because I found that reading, editing and then posting someone else’s work was not as beneficial to me as writing something myself. That said, I am a prolific writer and have no trouble cranking out amazing posts myself. If you are tired or aren’t a good writer, you may be a little more likely to accept guest posts and link requests. So there you have it…my “rule of thumb SEO list”. Like I said, this usually goes on in my head in about 10 seconds for each request I get (probably at least 20 a week). Previous Post: « Niche Marketing – Can you have two niches? Wow Tara: thank you for such a detailed explanation of this. I could not have asked for more explanation than this. This detail coming for a High D personality (Disk profile) must have slowed your pulse down till you hurt. Seriously I do appreciate your insights. Now I will know how to handle these as they come in. YAY! So glad it is helping…:) Happy to help with this!! !